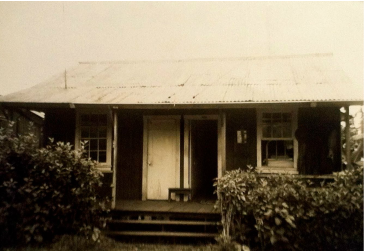 Location: About 2 ½ miles mauka of the 2 Hakalau Camps, up Chin Chuck Road on the right, above Chin Chuck Genjiro camp. 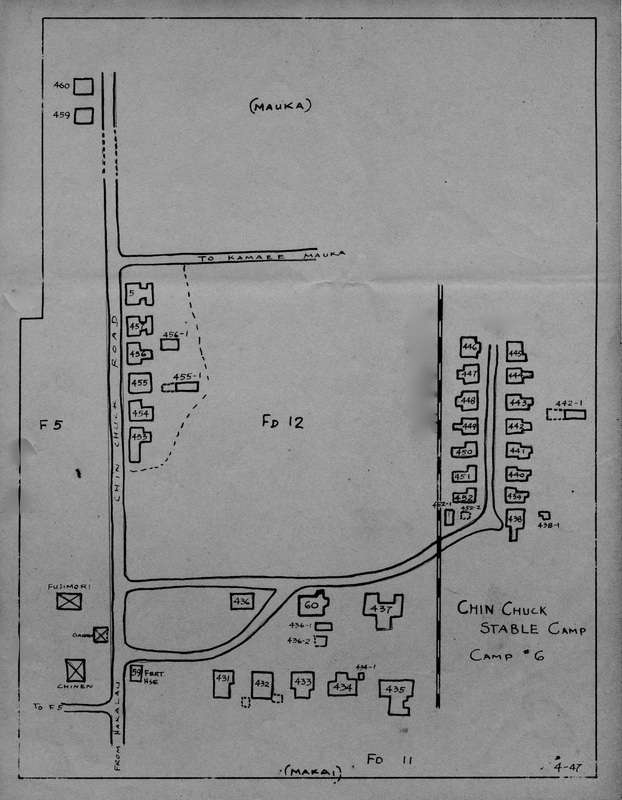 Camp size: About 25 dwellings and a clubhouse. About half of these dwellings were vacant by the early ‘60s. Usually just called “Stable Camp”.